Valuable gifts such as condominium units, houses and cars are not uncommon in Thailand, and most such gifts are made for specific reasons. The reasons for such gifts could not be more diverse, and personal disappointment might lead to great regret. Therefore, it is advisable for both parties, donor and donee, to think about protective measures. A gift agreement between donor and donee is a proper way to protect the interests of both sides. 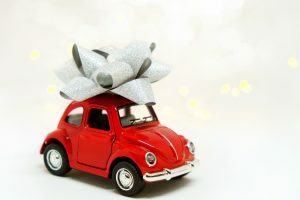 Further, if the gift is encumbered with a charge and the donee fails to perform the charge, the donor may demand the return of the gift, Section 528 CCC. The donee, on the other hand, is entitled to claim the promised gift or its value on the basis of such an agreement, Section 526 CCC, if there is a written agreement. A written contract is the best way to give evidence especially in cases of a heritage dispute. After the death of the donor, such a gift agreement may be evidence enough that the asset, which is the matter of dispute, was given as a gift. The gift agreement may prevent the unpleasant situation that the donee is forced to return the gift to the heir. Setting up a gift agreement helps to secure the rights of both parties and is highly recommended for valuable gifts; it helps to prevent any misunderstandings between the parties which might lead to emotional distress and further damage.